Well embroidered carpets, fine pashmina shawls and fragrant saffron evoke sweet memories of Kashmir across the globe. Yet Jammu and Kashmir state (North India) is in news on account of terror attacks, protest by locals, and human right violations. Also, Kashmir has been the flash point between two neighbour rivals-India and Pakistan. “Kashmir has been referred to as the most dangerous place on Earth. The prospect of two nuclear powers facing off across such a comparatively small space is frightening indeed. Since the partition of India and Pakistan in 1947, this unresolved land and the people who live there have been at the root of constant tension between the world’s most populous democracy, India, and its neighbour Pakistan. That three major wars have been fought between those protagonists over the years only heightens the fear that now exists, given their advanced technology,” noted former US President Jimmy Carter in 2002 in a report titled, ‘The Kashmiri Conflict: Historical and Prospective Intervention Analyses’. Curfew and separatist shutdown continued in Kashmir on Wednesday for the 40th consecutive day as the toll in the ongoing unrest rose to 58. The situation remains tense and the population takes the blunt, with curfew, mobile communications control and limitations of circulation. The current round of impasse in Kashmir Valley broke out after the killing of a 22-year-old Burhan Wani last month in an encounter with Indian army and J&K police. Some elements of Kashmiri youths have reacted to this by pelting stones at the security forces. Some youth back the idea of Kasmir’s Independence, some ask for more autonomy inside India, and some simply express their anger. Security forces have expressed their fear of a situation getting out of hand and feel the State security is at stake. 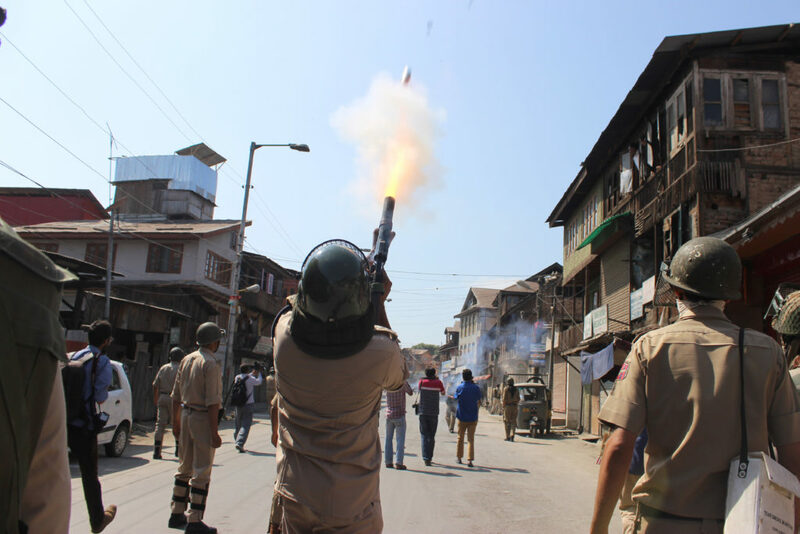 Some youth have been heavily injured, or even killed, by pellet guns used by security forces. Few Indian observers feel the government should run a campaign exposing local leaders who incite violence. No sooner pressure built up, and Indian Parliament discussed the issue. Indian Prime Minister Narendra Modi chaired an all party on Kashmir last Friday. Of course there is nothing new. Debates in Parliament, all party meetings, round table conferences, all party delegations to Kashmir Valley, and expert committee reports have all been tried for more than twenty years now. Yet none of the recommendations by the high level delegation or committees have been implemented so far. They gather dust in India’s Union Home Ministry. Before we move further, Kashmir, according to India and Pakistan, is part of their mainstream narrative and their identity as modern state. Cambridge educated Choudhary Rehmat Ali, in 1933, in pamphlet titled “Now or Never; Are We to Live or Perish Forever?”, what later came to be known as the Pakistan Declaration, conceived the idea of ‘Pakistan’ – comprising Punjab, North-West Frontier Province (Afghan Province), Kashmir, Sindh and Balochistan. For India, it is historical as Kashmir has been an integral part for several centuries. More importantly, at the time of the Indian independence, Maharaja Hari Singh, the ruler of the state, preferred to become independent and remain neutral between the successor dominions of India and Pakistan. However, an uprising in the western districts of the State followed by an attack by raiders from the neighbouring Northwest Frontier Province, was supported by Pakistan. On 26 October 1947, the Maharaja signed the conditional Instrument of Accession joining the Dominion of India in return for military aid. The western and northern districts, presently known as Azad Kashmir and Gilgit-Baltistan or Pakistan Occupied Kashmir (PoK), passed to the control of Pakistan. But, what is required is not just words but action in the Valley to bring back normalcy. Kashmir issue has to be dealt at three levels. First is international, second is at the state level and third is to engage all the parties and representatives of the society involved. At the international level is on how to deal with neighbouring Pakistan. From the Indian point of view, Pakistan has sponsored anti–India propaganda about Kashmir. In fact, separatist wing Lashkar-e-Tayyaba (LeT) chief Hafiz Sayeed has asked his terrorists ‘to take advantage of the situation’. So the only way forward is the resumption of dialogue with Pakistan. India and Pakistan suspended peace process talks in April this year after the arrest of Indian spy Kulbhushan Yadav in Balochistan, Pakistan over charges of spying for the Research and Analysis Wing (RAW) intelligence agency. A lot of funds have been flowing into Kashmir from Pakistan. One of India’s targets is then to rally global opinion to monitor how Islamabad uses the funds it receives from outside. So the spats and sparks between two Asian neighbours continue to haunt the global headlines despite the Composite Dialogue Process that began in 2004. The process, that focuses on eight crucial issues: Peace and Security including CBMs, Jammu and Kashmir, Siachen, Sir Creek, Wullar Barrage/Tulbul Navigation Project, Terrorism and Drug Trafficking, Economic and Commercial Cooperation and Promotion of Friendly Exchanges in Various Field, has seen several brakes and is yet to reach any conclusion. Pakistan High Commissioner to India, Abdul Basit, had said that Pakistan was dedicating its Independence Day to Kashmir’s “freedom” and would continue to extend full diplomatic, political and moral support to the people of the State. The next important level is state and how its common man has been hit hard due to current impasse for more than one month now. So the top priority for both the Prime Minister Narendra Modi and J&K Chief Minister Mehbooba Mufti is to restore law and order, calm the public anger and restore confidence among the people. For the Kashmir crisis to end this time, Mehbooba needs all the support from Centre and other political parties. The Chief Minister does not enjoy the same confidence either in the Centre or in the state as her father and her immediate predecessor Mufti Sayeed did. To engage with all the stakeholders in Kashmir Valley including civil society organisations in the state now seems necessary. But Modi government needs to have a political roadmap, a framework and a timetable to achieve this. It is hoped that an honest attempt this time would open a new chapter in the history of Jammu and Kashmir. With a clear majority in parliament, the Narendra Modi government would be able to see its decisions through.